The sensual greeting of Angostura bitters drifted upward with my first sip. The next sensation was the silky quality of egg white beaten into a frothy head. 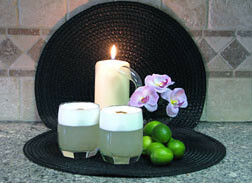 Then the tang of fresh-squeezed lemon juice tamed the fiery kick of the pisco, yet allowed its redolence to flow through. I looked at my husband Rick; he mimed a “Wow!” We were hooked. The dark red Quebranta grape from which it was originally made did not start out as brandy. The conquistadors first brought the grape from Spain to the developing colony in 1547. By trial and error they found the climate and soil in the Ica Valley of Peru conducive to abundant harvests for wine making. A booming business grew in exports to Spain; that is, until it cut too deeply into the profits of the Iberian wine producers, and the King of Spain was pressured to ban the import of wines from the colony. A light bulb lit in a Peruvian mind to distil the fermented grape juice and pisco was born. The name given this offspring was fitting. Pisco, means “bird” in Quechua, the ancient Inca language spoken in valley. These peoples dubbed the huge clay pots used to ferment chicha (a local beer) piscos, possibly in jest as the effect of the liquid simulated flying. The Spaniards conveniently used these versatile clay pots to ferment and distil the grapes, and the resulting brandy was named after this vessel. Success was immediate and long-lived – Spain could not get enough of this liquor in their salons; and it became a smash hit up the Pacific coast, reaching a crescendo with the thirsty 1849 gold rush miners of San Francisco. Peruvian pisco first morphed into a Pisco Sour in the Morris Bar that operated in Lima from 1915-1933. The story goes that US convention delegates flooded the bar at day’s end clamouring for whisky sours. The Pisco Sour was Victor Morris’ well received substitute. The Maury Hotel in Lima claims to have perfected this cocktail sometime later. There are now several types of pisco. The original Quebranta grape is still popular, also Mollar, and Muscat. Some brands use only one variety of grape, others use a combination of grapes, or have made variations in the fermentation process. Now that we are back on North American soil, Pisco Sours with our yellow lemons do just fine – as I figure its no sense pining away for something beyond one’s reach. Though the ingredients are the same in most recipes, the proportions vary. Blend for 30 seconds, or until egg is frothy & ice is melted. Pour into two short wide tumblers. In a few seconds the egg whites rise to the top. Garnish each with 3 dashes of Angostura bitters. Savouring my Pisco Sour, I am once again trekking Peru from my armchair – the wondrous ruins of Inca civilizations, bustling modern cities, awesome landscapes, and ohhhh the beaches.